That’s right there’s a new M kid on the block, well sort of, it’s more a variation of the existing M4. 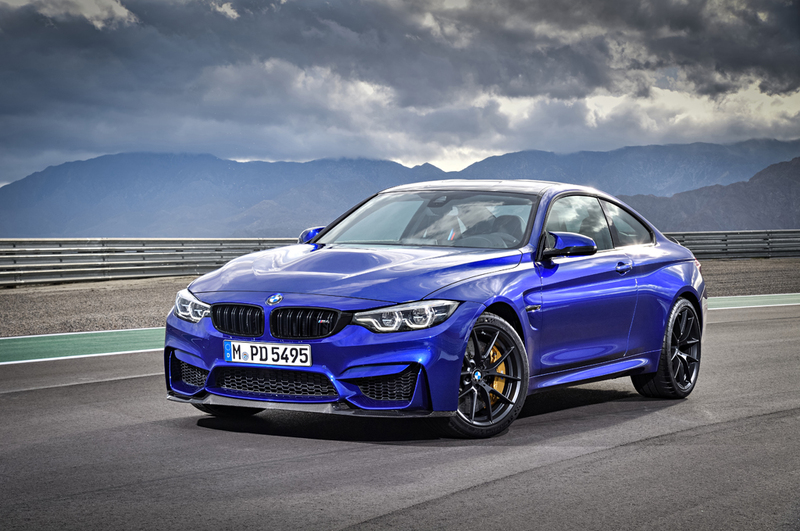 If you had thought there was an aching gap in between the M4 competition pack and the M4 GTS (we’re going to assume you didn’t) BMW M Gmbh have answered your prayers in the form of the M4 CS. It’s a special edition model with a limited run, so don’t expect it to be around for too long before all example are sold. The 3.0 litre twin turbo from the regular M4 stays with power boosted this time to 460 bhp, 10 more than competition pack on the normal models. Manual is not an option with the CS it’s seven speed DCT or nothing, not that missing the manual is a bad option as the M DCT is just superb. It also helps in reaching that oh so coveted 0-60 mph stretch in an impressive 3.9 seconds in the CS. 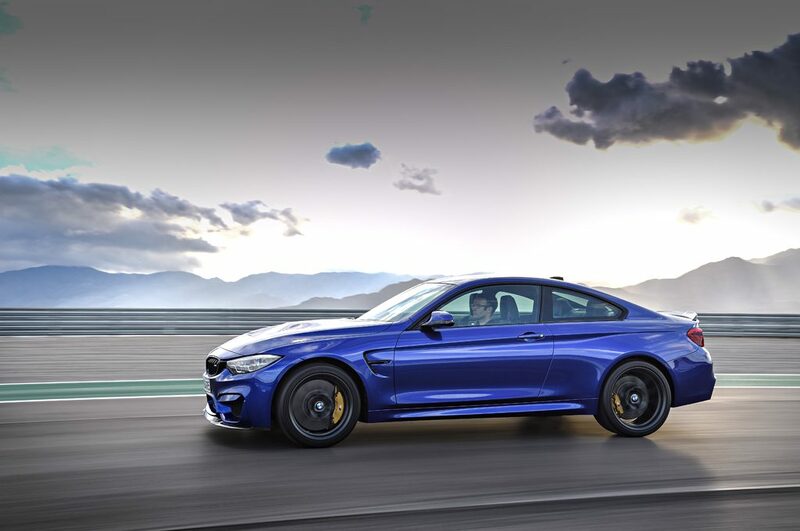 Top speed is limited to 174 mph whereas fuel economy has actually climbed to 33.6 mpg from 32.1 in the regular M4 via magic or other engine efficiency improvements. Suspension is largely the same as the M4 competition package with lightweight forged front and rear axles reducing unsprung mass and helping transfer more horses to the wheels. New lightweight forged alloys also help to this end and are designed exclusively for the M4 CS, they’ll be wrapped in Michelin Sport Cup 2 Tyres. 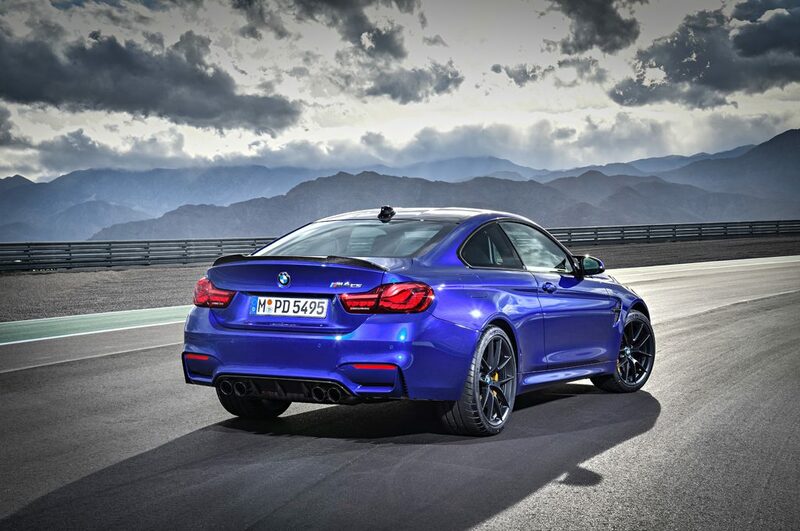 BMW is also quick to remind that the M4 CS has been honed on the Nürburgring, setting a lap time of 7 mins 38 seconds. Any new fancy gadgets / trimmings? 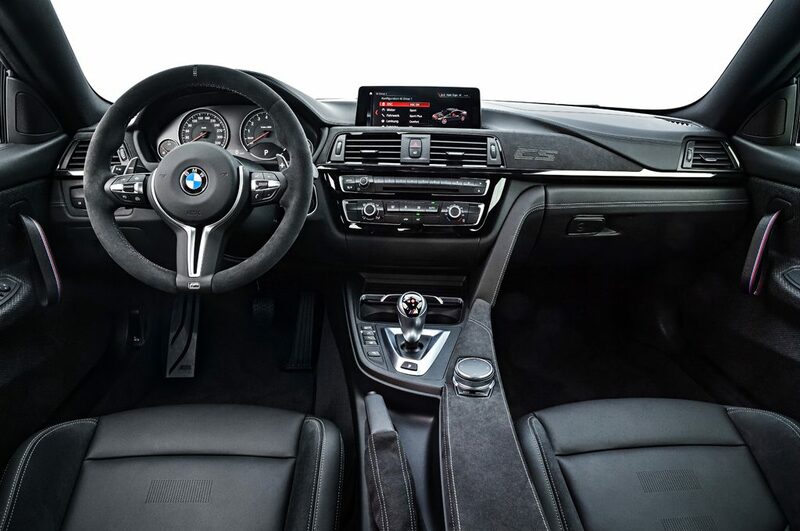 The interior receives the Alcantara treatment this time with M sports seats trimmed in leather and Alcantara as well as the door cards and centre console. All the gizmos you would expect in a M4 return with adaptive suspensions control, steering sensitivity control etc, you can pretty much configure the car how you want. The BMW Hifi professional system has been tweaked a little and the idrive with sat nav return too, they’ve not stripped back on features. They’ve also not stripped back on cost, with the new M4 priced at £89,130. Quite a chunk of change, considering that the M4 competition package is £60,055, the fact that the CS is a limited edition model then perhaps justifies its cost as prices will only go one way in the future and buyers shouldn’t lose much money on these. Externally, there’s not much too that’s been changed over the M4 competition package, you get a new rear lip on the trunk, the CS badge and a nice carbon fibre splitter up front. The bonnet is made of carbon fibre to shed some additional weight, even though with all these weight saving measures we bet the Alcantara interior puts it right back to square one (at least it’s no heavier than normal with a higher power output). A nice feature on the rear, straight from the GTS is the much sought after OLED lights, which do look pretty fantastic. There you have it the new M4 CS limited edition, has it blown you away? Of course not, but is it completely pointless? We don’t think so, purely based on the fact that people will buy this thing and if you think of the M4 GTS as completely different car, then this is the best M4 money can buy.